In this daylong retreat, you’ll learn essential breathing techniques that can enhance and deepen your experience in meditation and deep relaxation. These practices can also be valuable tools when you encounter physical pain, emotional turbulence and mental agitation. 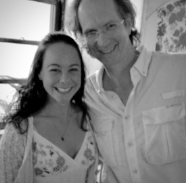 For many years Jonathan Foust and Larissa Carlson taught a professional training program training teachers how to instruct these powerful techniques. They are excited to share them with you in this daylong intensive format. This retreat is intensive in nature, but no prior experience in yoga and meditation is required. Come with an open mind, open heart and an intention to explore through direct experience in a group setting. Larissa Hall Carlson is former Dean of the Kripalu School of Ayurveda, co-creator of Yoga Journal's Ayurveda 101 training and lead director of advanced yoga teacher trainings.